Astl says members of his gardening group have been thanking him for taking care of the project, especially after one of them broke her wrist falling down the slope last year. City bylaw officers have taped off the stairs while officials make a decision on what to do with it. However, Astl has not been charged with any sort of violation. He pointed out that the park already has an accessible path for those who worry about falling down the incline, which is essentially a shortcut from the parking lot to the garden area. Tory also cited safety and accessibility issues in terms of the staircase’s design. City inspectors have said the stairs are unsafe because the railing is unsafe, the incline is uneven and there is no foundation. The mayor says his staff have been asked to revisit the project and come up with a more realistic estimate, as the last one was based on projects in other parks. 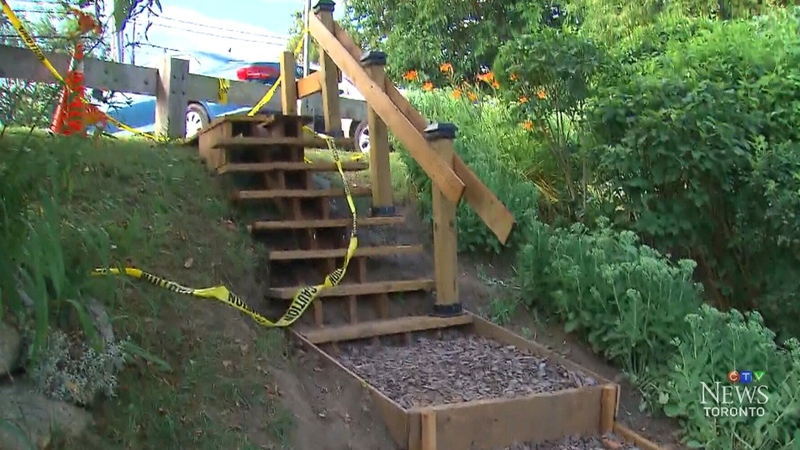 Area resident Dana Beamon told CTV Toronto she’s happy to have the stairs there, whether or not they are up to city standards. Adi Astl stands on the stairs he built in Tom Riley Park, in Etobicoke, Ont., on July 19, 2017. Toronto bylaw officials have taped off these privately-built stairs in Tom Riley Park, in Etobicoke, Ont. 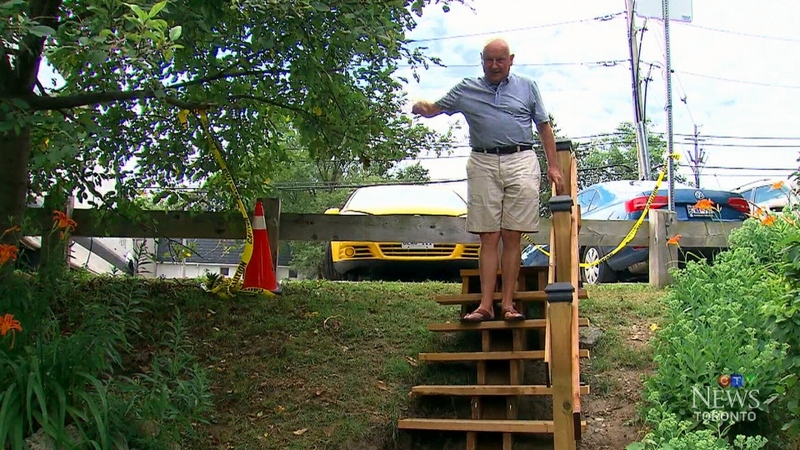 Should the city remove the park staircase built by a Toronto man?